Joker Millions from Yggdrasil Gaming provides an exciting and innovative progressive jackpot challenge or standalone slots game. Released on February 3, 2015, this intriguing game engages players by encouraging them to collect symbols during the course of play. Gathering an entire assembly of sticky jokers results in the award of a jackpot. With three rows of icons and five spinning reels, the game screen allows players to collect 15 smiling golden joker symbols during play. Every time one of these animated smiling icons appears in the reels, it “sticks” to the surface, contributing to the player’s total. Participants can activate between one and 25 paylines during a spin. Any player who successfully accumulates a screen full of jokers wins a nice reward: the progressive jackpot amount at the time. The simplicity of this video slots game contributes to its timeless allure. 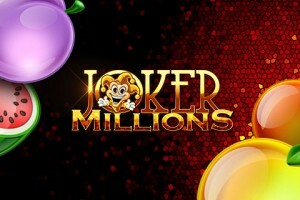 Joker Millions encourages players to continue spinning the reels in order to augment the number of jokers captured on the screen. Every spin offers the possibility of obtaining the required number of icons necessary to win a significant prize. The Yggdrasil Joker Millions video slots game utilizes several popular icons that frequently appear in other so-called “fruit games“. 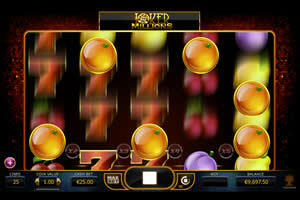 Cherries, pears, plums, lemons, oranges, watermelons and big red lucky sevens populate the game screen. When the joker icon appears within a golden circle, a sound effect notes its arrival. The joker very briefly animates, as the circle around it whirls dynamically. Then, the icon of the joker sticks to the black playing screen. As the joker icons accumulate in the 15 spaces on the video screen, excitement mounts in the Joker Millions game. Filling every space with a golden and black joker icon promises the player a significant financial reward. 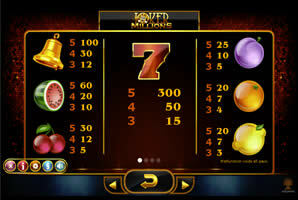 This very appealing game induces players to continue spinning the reels in order to fill in empty spots on the screen. The Joker Millions game offers an autoplay option, so gamers who feel comfortable with the game’s format can play at an accelerated automatic rate without having to punch the spin button repeatedly. It will accept one coin per payline and in a standalone form offers a 300 coin jackpot, or more. Different casinos offer some significantly different jackpot prizes based on this game. One feature all versions of the game share in common remains: excitement. 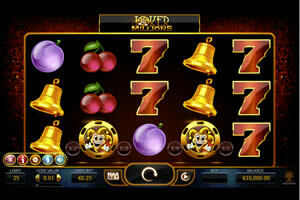 Jackpot Millions offers an engaging gaming experience! Joker Millions actively involves players in the process of collecting Joker icons. It offers significant entertainment value, since every spin of the reels provides the possibility of additional joker icons remaining on the game screen. Although the concept behind this game appears quite simple, it possesses the potential to keep players engaged for long periods of time. Once they begin collecting joker icons, the temptation remains to continue playing in order to accumulate more of these symbols. The exciting Joker Millions game does not involve complex rules or a steep learning curve. This intriguing video slots appeals to people of all ages and educational backgrounds. Every spin of the reels offers the possibility of joker symbols falling into place on the screen. Consequently, this game will appeal to a very wide audience. Filling the game board with smiling sticky joker icons offers one way to obtain a lucrative reward.